Estate El Chami; Habib v El Chami  NSWSC 1208 The deceased died in February 2014 aged 92 years leaving an estate comprised primarily of only his house. The estate was valued at around $917,000 in total. The deceased never married and had no children of his own. He had, however, made a formal will in 1992 that named his brother as the executor and beneficiary of his estate. Shortly before his death, the deceased purportedly made another will while he was resident in a nursing home. This document was dated in 2014. The 2014 document named his friend and neighbour as the executor and beneficiary. The 2014 document was challenged on the grounds that it was not a valid will. It was claimed that the deceased lacked testamentary capacity at the time the will was made and that as a result, the deceased did not know or approve of the contents of the will. The validity of the 2014 will was also challenged on the basis that the neighbour had procured the will by exercising undue influence over the deceased. The undue influence challenge was eventually dropped, but the Court was still required to determine whether the deceased had testamentary capacity and knew and approved of the contents of the document made shortly before his death. The onus of proving the 2014 document was a valid will fell to the neighbour who was seeking a grant of probate from the Court. A grant of probate is a legal document that authorises an executor (or legal personal representative) to manage the estate of a deceased person in accordance with the provisions of the deceased’s last valid will. Before the Court will issue a grant of probate, it must be shown proof that the deceased is in fact dead, that the original document sought to be admitted to probate is the last valid will made by the deceased, and the person seeking the grant is entitled to act as the executor of the estate. To prove the 2014 document was a valid will, the neighbour produced evidence from himself, the Arabic speaking solicitor who drafted and witnessed the will, the nursing home manager, the deceased’s GP and other witnesses. The representatives of the estate of the brother of the deceased, who had sadly died during the course of the proceedings, invoked the suspicious circumstances rule and questioned the evidence produced. Of concern was that the deceased suffered from mental illness, including paranoid schizophrenia from around 1990. He was, at times, the subject of protective orders including financial management by the Protective Commissioner and institutionalised living. After considering the evidence presented at the 4 day hearing, the judge made the following remarks: The deceased’s advanced age at the time he signed the 2014 will was accompanied by frailty, physical and mental. He had been bed-bound for about two months. He had recently had a fall, suffering a head injury that precipitated his demise; it adversely affected his cognitive abilities. His vision and his hearing were impaired. The day before he signed the will he was unable to sign his name. 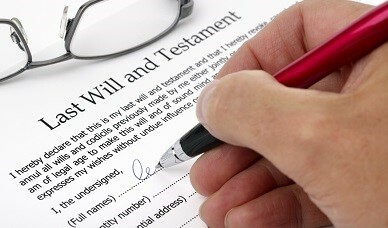 The will, when signed, can fairly be characterised as a “deathbed will”. The solicitor who assisted prepare the 2014 document had obtained a medical certificate from the deceased’s GP that said the deceased was capable of making life decisions, however, in oral evidence the GP was less confident the deceased had testamentary capacity at the time the will instructions were given or when the will was signed. The GP also did not speak Arabic in circumstances where the deceased could not read English and only spoke limited English. The judge also placed weight on the terms of the 2014 document, including that the deceased’s name was misspelled, there was no ‘signed in translation’ attestation clause, the suburb of the deceased’s home was described incorrectly, and the document did not recognise the deceased had property interests in Lebanon. The neighbour’s wife was also named as a substitute beneficiary, even though the deceased had never met the neighbour’s wife. The 2014 document also contained a clause that was identified to be delusional. In the clause, the deceased said his brother and his family had not taken care of him and had mistreated him. Independent evidence was produced that showed this was not the case. The judge said: He appears to have suffered a disorder of the mind that poisoned his affections, perverted his sense of right and prevented the exercise of his natural faculties: Banks v Goodfellow (1870) LR 5 QB 549 at 565. And [T]the deceased lacked a sound mind, memory and understanding. … [H]e suffered from a delusional belief about the character and constancy of his brother that directly, and fundamentally, affected the nature of the will. Having found that the 2014 document was not a valid will as the deceased lacked the necessary testamentary capacity to make a will, the prior will dated in 1992 was admitted to probate in solemn form. Despite the neighbour being unsuccessful in seeking to probate the 2014 document, the Court ordered that the ordinary legal and Court costs of all of the parties be paid by the deceased’s estate. The comments of the judge included: The plaintiff’s unsuccessful support for the 2014 will, and his consequent opposition to the 1992 will, can, and should, fairly be laid at the feet of the deceased. The economic burden of the proceedings can, and should, be borne by his estate. And This is not a case in which the parties, or any of them, should be required to bear substantial costs of proceedings necessary to identify the last will of a free and capable testator. Wills are solemn legal documents. If they are to be relied upon to operate effectively after death, they should be prepared carefully and with the assistance of experienced legal practitioners. 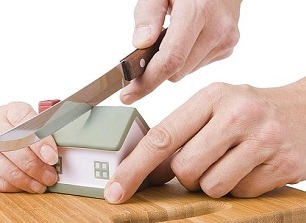 They should also be prepared well before you think you may need one, as otherwise there can be lengthy and costly consequences for your estate.